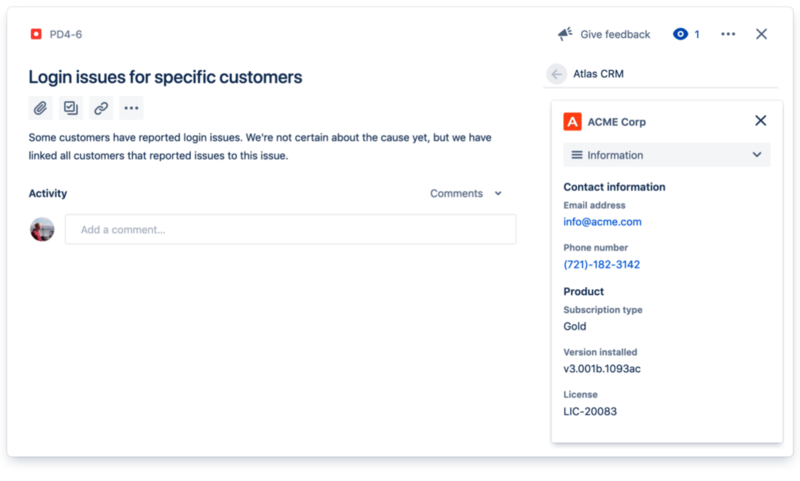 Enrich Jira issues with customer information to make your life easier when working on customer related issues. Look up information about the customer you're working for, without leaving your issue. 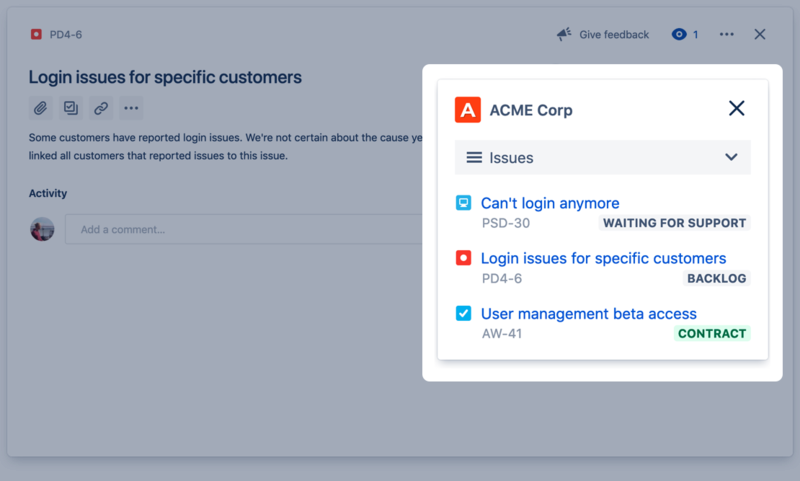 The complete customer profile is available inside Jira issues, allowing you to focus on your work. Find out what your organization is doing for a customer by viewing all related issues. Is the work of another team influencing you? You can find out without leaving your issue.